This will be a really short post. Recently, I have received some questions about xrdp and Unity Desktop. If you follow me, you know that we have provided quite a lot of information about xrdp and Ubuntu and how to have this working. However, the main complain people have is that the provided solution does not allow them to connect to their Unity Desktop. Yes, this is true. with xRDP package, you cannot connect to your 3D Unity Desktop. This is why we need to install alternative desktop in order to be able to remote into Ubuntu machines while using RDP protocol. The other complain/question about xrdp and unity desktop is about to make a connection to the console. So far, we have not found a way to perform this operation. It’s seems that xrdp indeed does not allow us to perform a connection directly to the console and see the existing session. I can understand the frustration about that. xRDP is not a perfect solution but it’s the only one that provide some sort of support for RDP protocol (in a free and open source way). 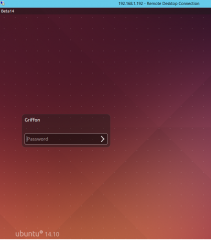 To fix this issues, xrdp and/or Ubuntu team should work together and develop an new xrdp package that would then allow to connect to Unity Desktop and allow users to connect to console as well. In the mean time, if you really want to connect to your Unity Desktop using xrdp package, we might offer you a dirty workaround. How to connect to Unity Desktop using xRDP package ? 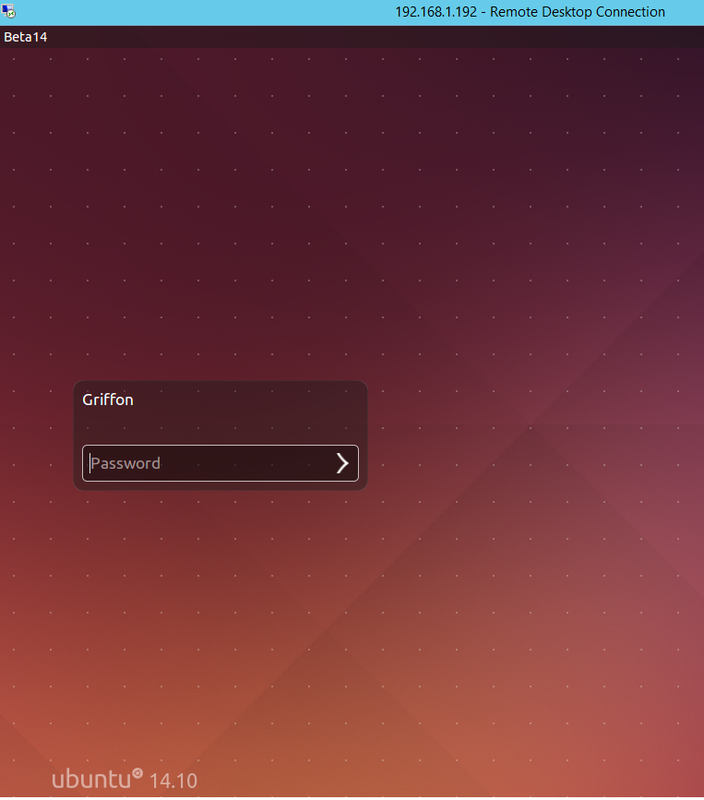 If you need to have other users connected to your Ubuntu machine, you should follow the steps described in this post (Ubuntu 14.10 – How to install XRDP and have it working). indeed, you will need to install alternate desktop environment. In our example, we select the option console. You will be asked for a password. Type in the password. 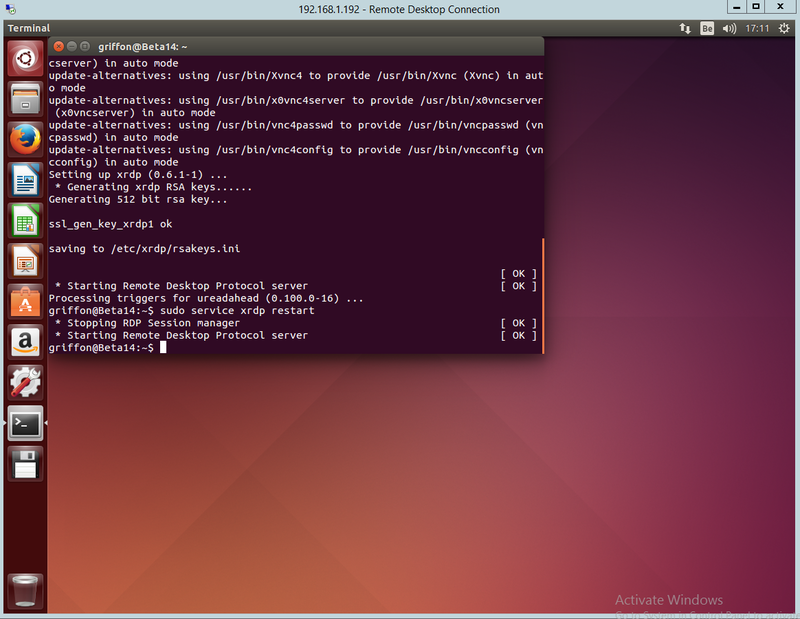 If you need to connect to a remote machine (Ubuntu based with vnc configure to start at boot), you might wanna use the vnc-any option. If everything is configured correctly, you will have access to the Unity Desktop and to the console Session through the xRDP Software. As mentioned from the beginning, this is a dirty workaround. 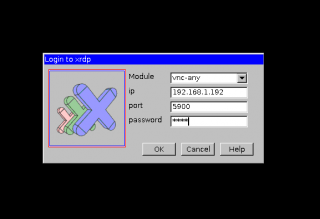 We actually using the xRDP software as a proxy and we are accessing the Unity Desktop and the Console session via the VNC protocol. 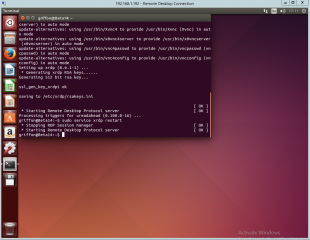 You are actually performing a vnc connection to your Ubuntu machine. Keep that in mind. So far, we have not found a better way to perform this operation using xRDP package. 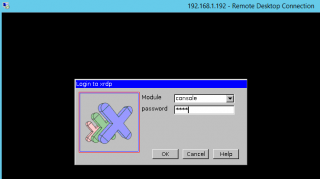 In this post, by configuring x11vnc to boot at startup and by installing xRDP package, we basically achieve the same result as the web based vnc viewer. Indeed, you can remotely connect to your machine using built-in tool (i.e. remote Desktop client) and you do not need to install any additional software or component on your client machine. xRDP community or Ubuntu or both should be working on developing more the software solution. Nowadays, Linux is more and more present in the Enterprise and there is a real need for such a tool. 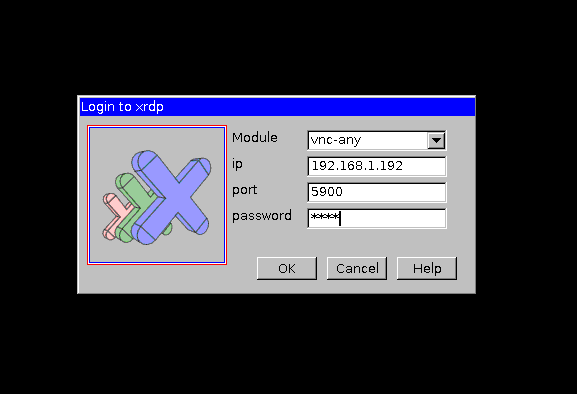 I know that they are other tools available on the market (x2go,noMachine,…) but we really like the way xRDP provide Remote Desktop capabilities. xRDP is still work in progress. there is a lot of options that are not working at the moment (such as disconnect option). I really think that xRDP can be a huge success if the software is developed further and that more and more features are added to it. Now, I understand that there is a community behind that might not have the time to develop more the solution and that’s a pitty. You may want to explain why you’re reluctant to show this workaround. I don’t know much about VNC and other workings of linux, but the reason for not trumpeting this solution is that there is a performance and/or memory hit with this workaround. Am I on the right track with this line of thinking? If yes, you may want to add a statement to that effect in your article. I’m not really relunctant in using this workaround. It simply as I said a work around and does not provide the rdp experience people might be looking for.